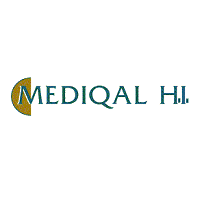 Hertfordshire, UK, November 29, 2017 – Quantitative Medical Systems, the US market leader in dialysis revenue cycle management and electronic medical record solutions has acquired the Mediqal Health Informatics Limited (MHI). MHI, headquartered in the United Kingdom, is the developer of an electronic medical record solution for the renal therapeutics market. This acquisition further expands QMS’ presence in the renal software marketplace and will offer significant benefits to both current and future customers of QMS, Clinical Computing and MHI. Quantitative Medical Systems offers dialysis specific software solutions to healthcare providers in the US. QMS is part of the Perseus operating group of Constellation Software Inc., an international software company traded publicly on the Toronto Stock Exchange. Constellation Software Inc., acquires, manages, and builds software businesses which provide specialized, mission-critical software solutions.